Picture yourself in a beautiful, verdant park. Your picnic is spread on the lush, green grass with soft white linen napkins create an elegant ambiance. 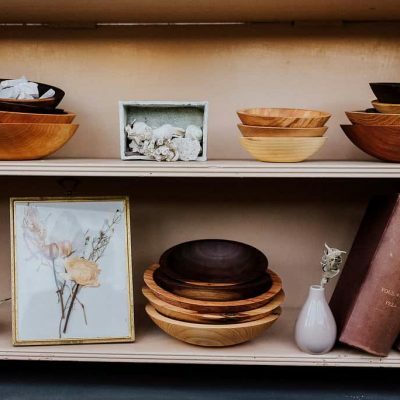 Crystal goblets are filled exactly halfway with a delicious, chilled white wine from a local winery, and a crisp, fresh salad in ebonized cherry wooden salad bowls from Holland Bowl Mill whets your appetite. Or does the idea of an elegant picnic amuse you? Are you toting a diaper bag, baby bottles, and burp cloths instead of a picnic basket, linen napkins, and chilled wine bottles? It doesn’t feel like it when your sweet baby is not yet sleeping through the night, but this season is brief in the big picture of your life. Take a look at your picture again. Imagine your picnic. Even if elegant is not your current style, summer picnics can become a treasured and timeless family tradition. 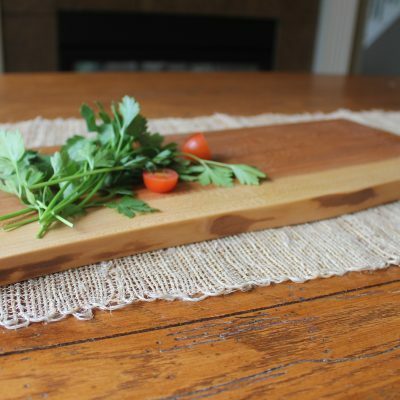 And years from now, a beautiful wooden salad bowl will remind your loved ones of chirping birds, playing catch in the park with Dad, and family picnics. 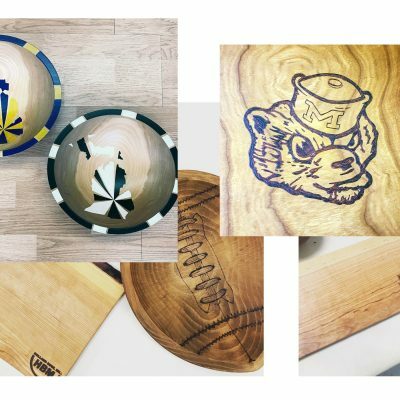 Holland Bowl Mill in Holland, Michigan creates exquisite and one-of-a-kind wooden salad bowls for the picture-perfect picnic. 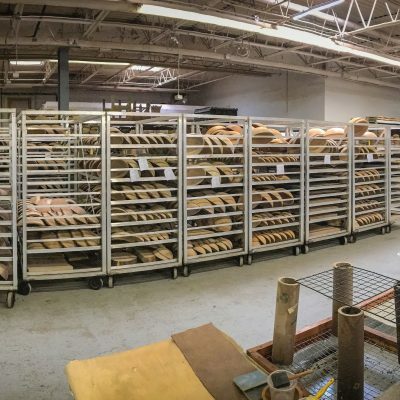 Carefully handcrafted, each wooden bowl is sculpted from a solid block of wood. And because these bowls will last a lifetime, they can be handed down from generation to generation. 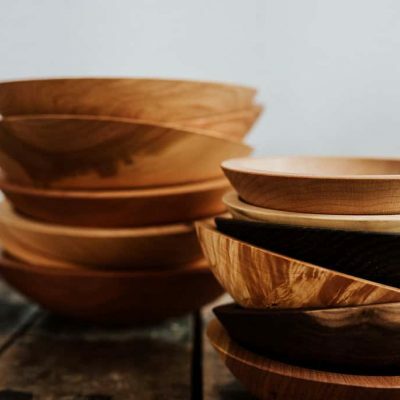 Or, if you prefer not to part with your beautiful wooden salad bowl, Holland Bowl Mill offers to engrave on the bottom or inside of their bowls, making them the ideal personalized wedding gift. (Wedding season and picnic season often happen at the same time.) 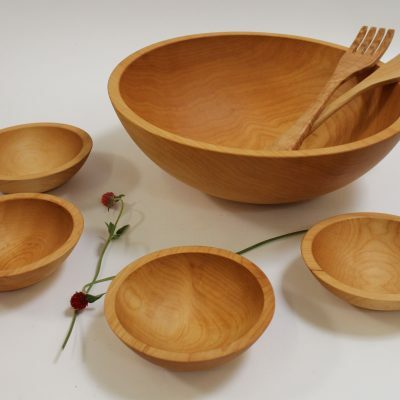 What is a better way there to begin a new family than with a beautiful salad bowl set that evokes amazing memories of treasured family traditions? Picnic seasons are fleeting, but each Holland Bowl comes with a lifetime guarantee. If your bowl ever cracks or warps from regular use, Holland Bowl Mill will replace it with a new one of similar size and finish. Picture yourself in a lush green park. Your picnic is spread, and it’s time to eat. 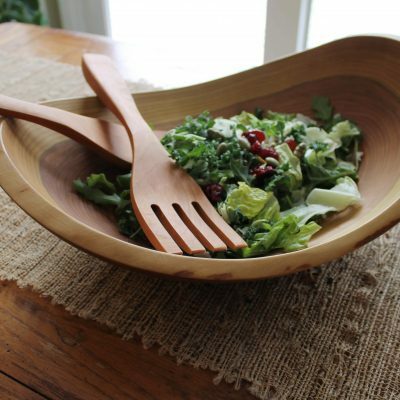 Picnic season calls for beautiful wooden salad bowls from Holland Bowl Mill.